Napier, Hastings and the greater Hawke's Bay region. 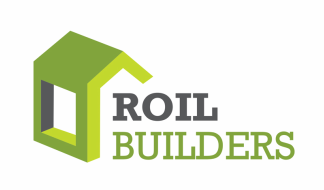 Founded in 2011, Roil Builders is run by Damian Roil. Roil Builders specialises in new homes, extensions, renovations and alterations including villas, kitchens and bathrooms, light commercial, children’s playhouses, shelving, decking and fencing. Whether your building needs are small or big, it’s important to us that we work closely with you to meet the requirements of your build. Exceeding customer expectations through quality craftsmanship, customer service and value for money are the top priorities for Damian. You can be assured that when you use Roil Builders you are getting highly skilled builders who are registered as Licenced Building Practitioners through the Department of Building and Housing New Zealand. Roil Builders are members of the Certified Builders Association of New Zealand. To meet the standard to be a member, applicants are scrutinised and approved for their ability to deliver excellent workmanship. Certified Builders offer on-going training for their members so you can have peace of mind that Damian and his team are up to date with industry developments and regulations. As a member, Damian is able to offer his customers access to New Zealand’s most comprehensive independent 10 year new home guarantee.